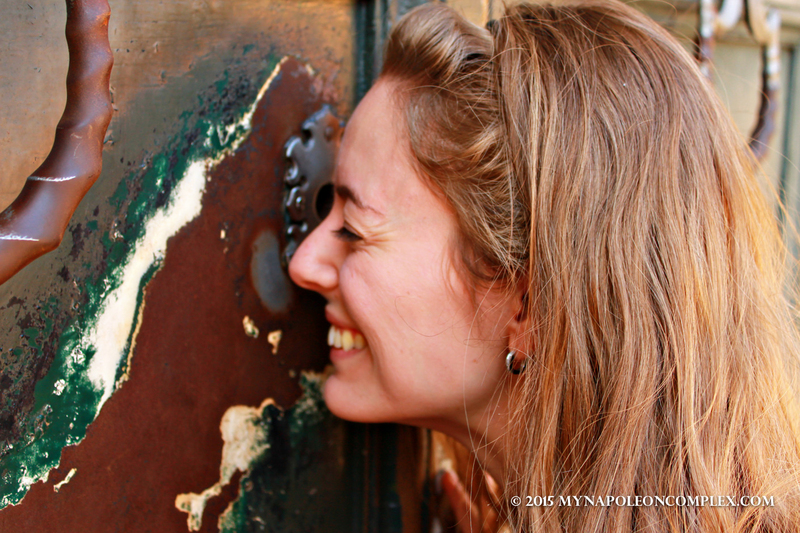 My 5 Favorite Things About Rome on our 2 month Italo-versary! Happy two months to us! Italy is generous though. Even though we don’t have internet, she did give us another gift. Our gift for surviving two months without hopping on a plane back to the states? An apartment! Yes, my good news is that last Friday, we finally….finally… signed a contract for an apartment! *cue the clouds parting, the heavens opening, and the chorus singing Hallelujah* I cannot contain my excitement! To finally have our own place, with our stuff…our mattress! I swear I will not wake up in like three days when I lay on that glorious bed again. Of course, this is all assuming our furniture gets here in one piece, but that’s a post (and a problem) for another time. Speaking of furniture though, yesterday our big wedding picture in its frame arrived safe and sound! Out of everything that is supposed to be moving overseas with us I was most worried about this picture. Sure, as Jaime says, we can always get another one from the photographer it’s not like its the last copy in the world and sureeee, we can always re-do the frame but I wasn’t convinced. This was the frame I wanted. And the first copy of that picture. It’s like my baby. But now I can breathe easily and I have hope for the rest of our furniture (I wasn’t too convinced with the way the movers packed things). Then there’s the bad news. To start with we didn’t have internet for three days now and for anyone that knows Jaime, this is a problem. He literally spent most afternoons either staring at the router with longing, or trying every trick in the book to make it work. Hell, I don’t blame him even if I make fun of him. The fact remains that the company that provides the Internet in this short-term apartment (I’ll get to that in a second), Tiscali, is down in the whole country! For three says! Not to be that person constantly comparing one country to another, but let’s face it: if AT&T’s service was down for 3 days, it would be like a national disaster. I WANT TO STOP LIVING OUT OF SUITCASES!!!!! Okay, I feel better now that I got that out of my system. While eventually I will write a post on where to stay and where not to stay in Italy, today I figured I will keep things light and talk about a few of my favorite things about Rome so far. I absolutely love this park. We’ve been at least 3 times a week since we got here. And obviously, Arya loves it! They have an area for dogs to be let loose and while I will admit that it’s always a little nerve-racking for me because we do own a Husky and they do tend to run away, Arya has behaved herself so far. 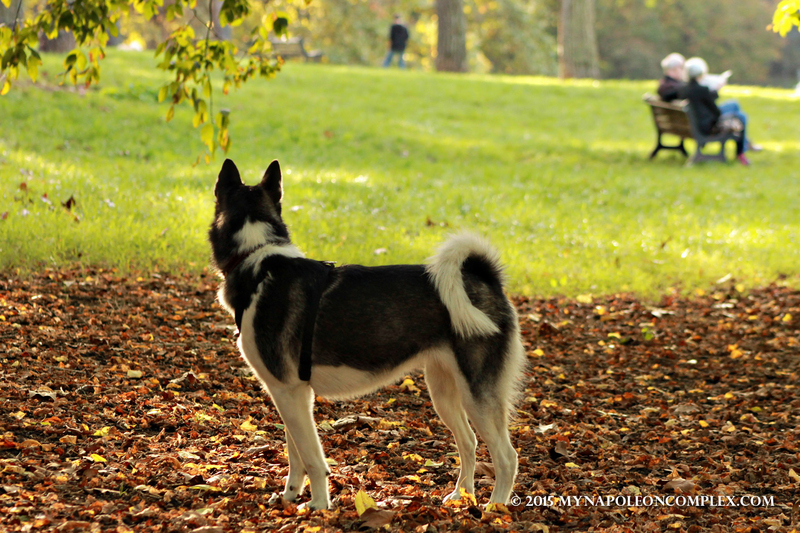 Unlike American dog parks that always have areas fenced in and separated by size, this area is just a free for all. And hey, everything works out fine! Take notes, America! The park also has running tracks, a zoo, a museum (which we haven’t explored yet), and even a little lake where you can rent a boat for ridiculously cheap. Another thing that’s ridiculously cheap (compared to the U.S.) is the bike rentals within the park. You all know Jaime and I haven’t had the best experience with park bike rentals (see the NYC post)! Anyway, while it’s not something I think most tourists do on a tight schedule, I think it’s a nice way to relax and unwind during a vacation. 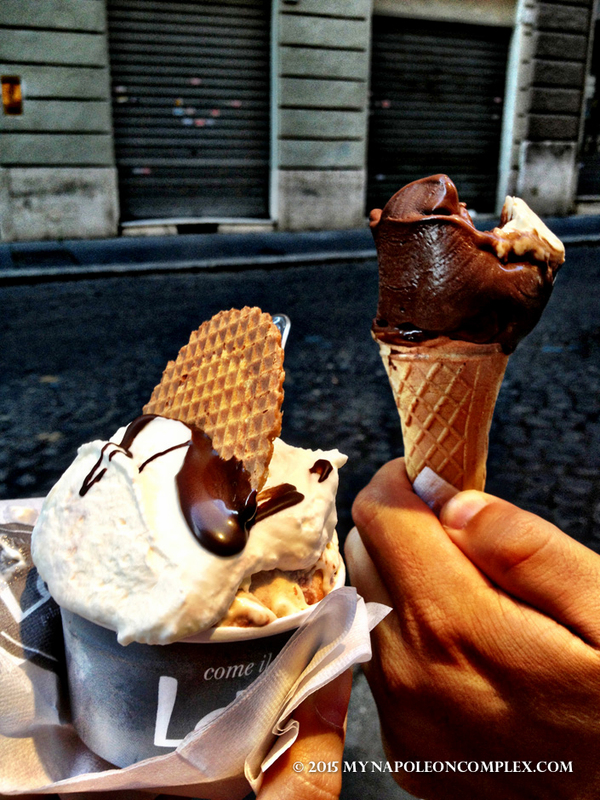 I love, love, loveeeee this gelato shop. The place is cute, it’s out of way, not filled with tourists and greedy employees trying to rip you off, and it’s just good! For like 2-3 Euros you can get a decent amount of gelato, with a cookie, whipped cream, and dipped in white or dark chocolate for no extra money! My favorite was their mascarpone and nutella flavor, but they don’t always have it I am sad to say. But if they do, you MUST get it! I die for this place. One of the things that wasn’t readily available in Dayton was good quality bakeries. In Miami, you have one in pretty much every corner full of Cuban pastries (can’t think about that too much or I’ll start drooling). In Washington, we didn’t find anything that blew us out of the water (recommendations for next time we’re there are always welcome). But here, I just knew we would find something. And it took us a month, but I have already found my favorite and the number one best bakery in Rome. First off, it’s open 24 hours a day, 7 days a week (and I’m pretty sure most holidays as well). This almost impossible to find in Rome. It’s also in a relatively popular location, in that it’s very close to the Vatican so it’s surprising that more tourists don’t know about it. Everything is always fresh, always good, and the best part….it is RIDICULOUSLY CHEAP. I always get the donuts filled with nutella because I love donuts and these are delicious. Basically one morning Jaime and I got a pastry for each of us and the grand total was 60 CENTS! Another time we got these things that were like empanadas filled with ham cheese and spinach, millefoglie slices for each of us, and donuts for 5 Euros! Anyway, I highly recommend this place for anyone that has a sweet tooth in Rome. Particularly in the summer, these things scattered all over the city are heaven-sent. 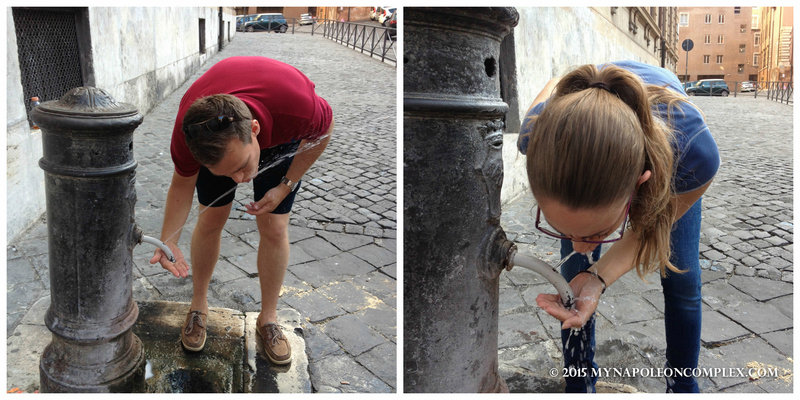 One thing one cannot complain about in Rome is the taste of the drinking water. It is freezing cold, fresh, and so so delicious. Buy one bottle of water, or bring a water bottle, and never pay for water again! Listen, I’ll be honest. The Colosseum is pretty and iconic at all, but it’s not the best thing about Rome by a long-shot. The Trevi Fountain? I was so excited to see it before we got here, then I went and now that’s like the part of the city I hate the most. 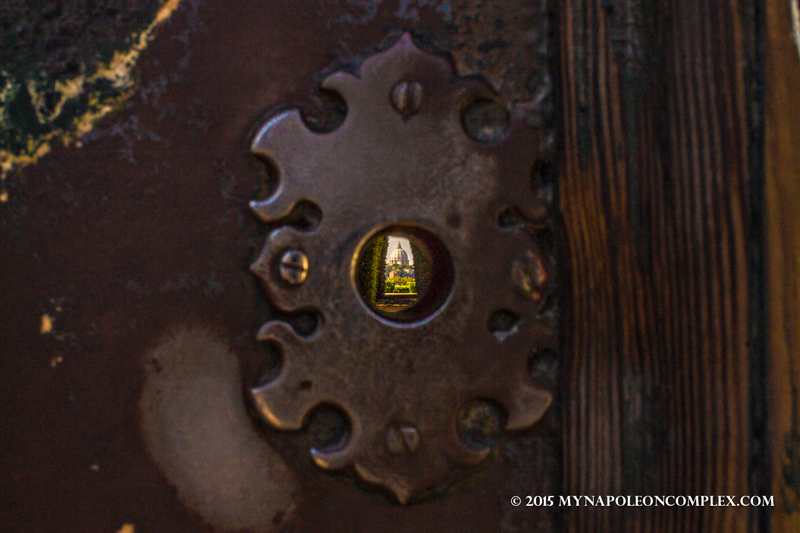 But one of the most curious things (and not very well-known judging by the amount of people there) is the “magical” key hole in the Piazza of the Knights of Malta on Aventine Hill. 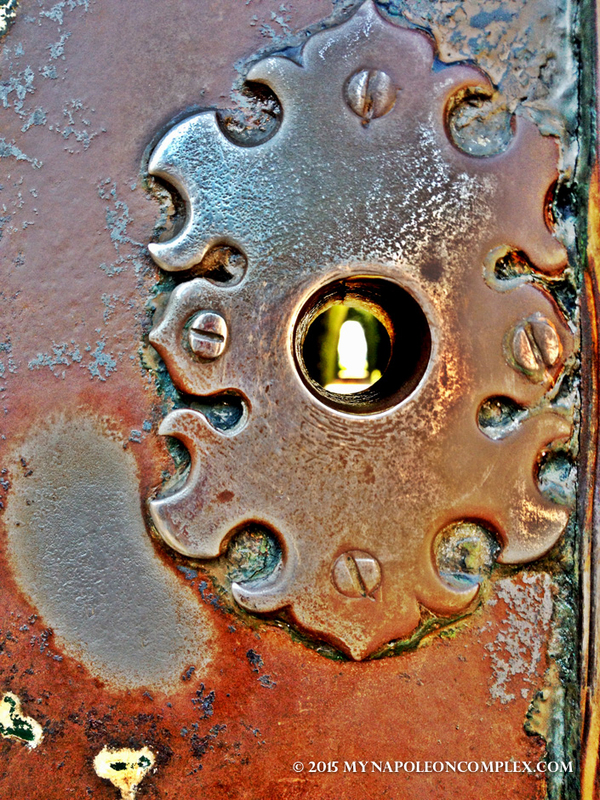 There is a big door, locked, with a cool keyhole…. *Breathless sigh of wonder* Who knows if this was done on purpose or just a coincidence, but it leaves you absolutely in awe.  I almost want to keep it a little secret to avoid it becoming a tourist trap. Funniest picture of Jaime holding up the line trying to get the above shot. Look on that lady’s face is priceless. 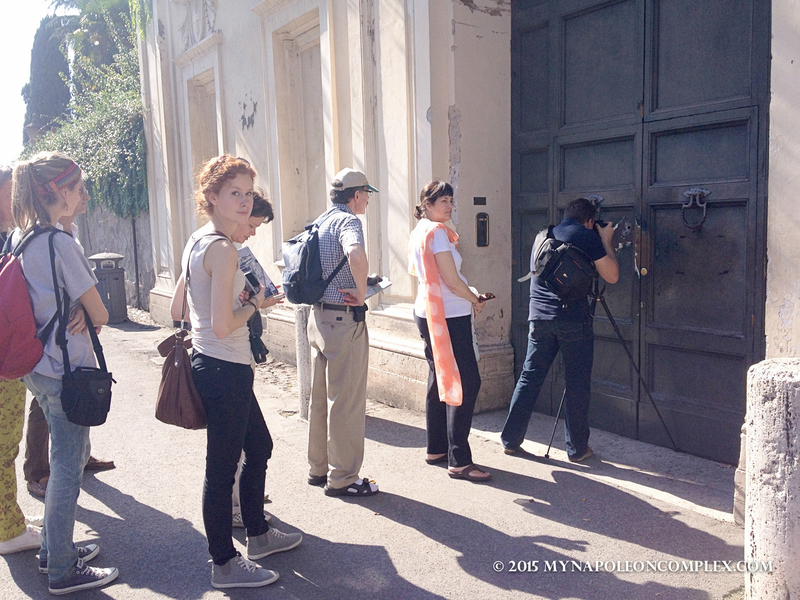 But there you have it, my favorite things about Rome as of October 2013. I’m sure by the end of our long stay I’ll look back at this and laugh at how little I knew about the city, but that’s just the wonder of blogging: to be able to look back at your thoughts and experiences and see the change and the growth. On that very cheesy and optimistic note, ci vediamo!